They do not work well for the smaller ports on the 61 intake , I used to be able to get sets that were white from one of the parts stores , they worked well , no longer can find them ! how many block the exhaust crossover , I always have ! The stock intake will be mated to a set of 461 heads . 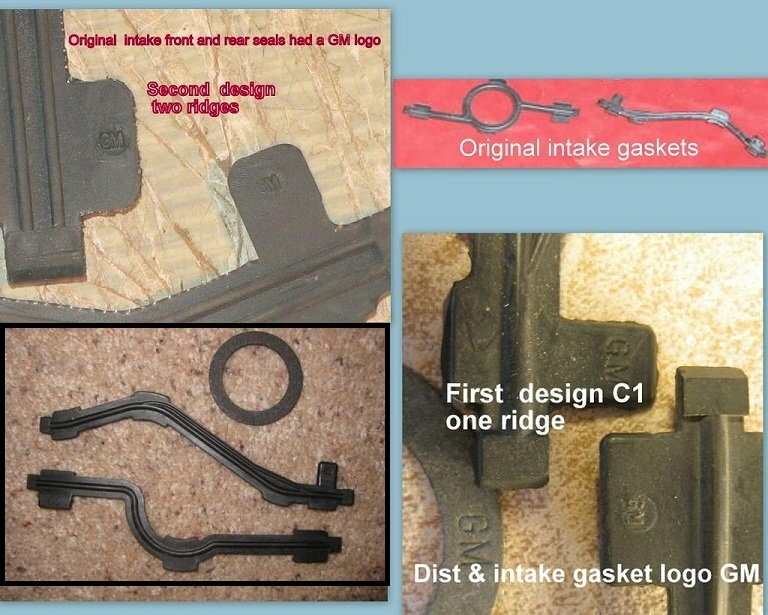 Paragon's gaskets always worked well for me. Today I managed a 1st step , I ended up using a 1204 felpro the worked out well , making good use of a 55 degree day here in the north east . Last edited by dcamick; 12-27-2017 at 12:27 PM. 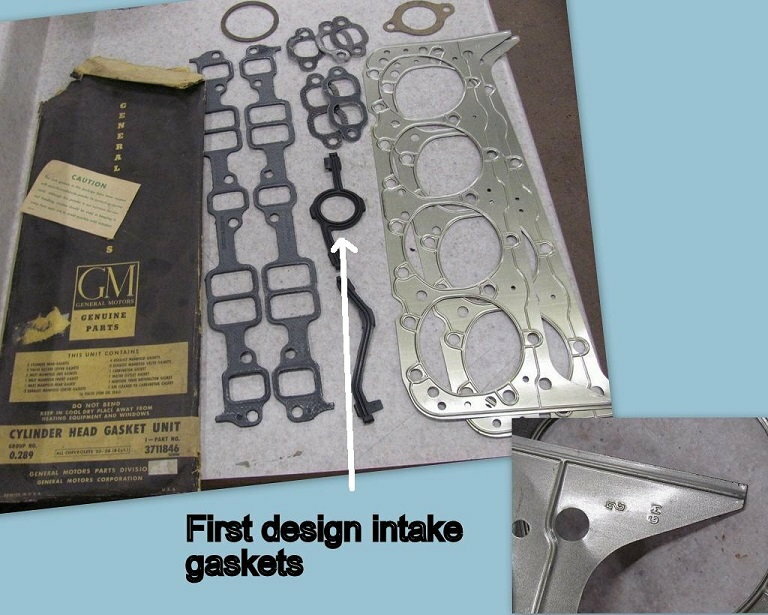 I used the blue Fel-Pro gaskets with mine and the 1/2" holes. I don't like blocking out crossovers, personally. More harm than good (rough running, long-warm-ups, diluted engine oil). I had no issue with the blue (other than they stand out) but did use some good RTV for the 'China Wall' sections front and rear. (Toyota black RTV or Right Stuff). The rubber gaskets supplied for these areas on the intake do not work well for me compared to the use of plain RTV. I too ended up using the blue gasket , we use the black gasket maker works well front and back . The exhaust I left open this time around . 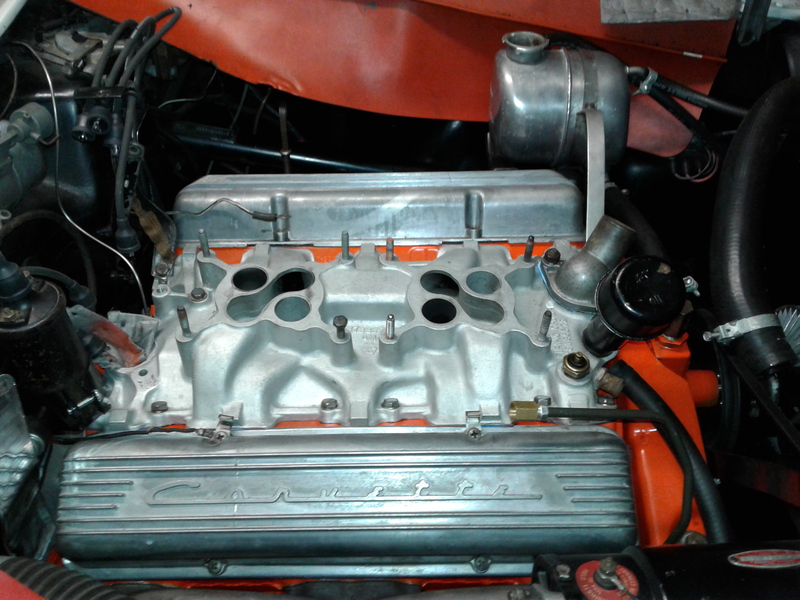 the blue I paint to match were its not covered by intake manifold , Note Photo in post #3 the installed gasket on the 61 . My main trouble ahs always been the small port sizes on the original 2x4 intake , any use of after market has never been hard finding a gasket , for the edelbrock I used a 1205 felpro black . with blocked exhaust . Well its now 14 degrees out garage time is limited . Tach drive61, I agree. I am running the same heads you are on my old-style 383. The intake ports on the heads are HUGE compared to the tiny intake ports on the 2x4 intake. Much potential lost, no doubt. But it still screams! just re posting , current the wcfb set is now on vacuum 18 Hg at manifold for the L79 cam idle 900 rpm , a bit of a lopy idle , real good power , I still have some minor adjustment to make , and photos to follow , On a good thought it seems spring is getting closer garage days have become more frequent ! I am glad it all worked out. You have been playing with these carbs for quite some time. Now you just have to get it over to the house and tweak it. I had my 61 out yesterday, the smell of exhaust made my day! thanks Joe! Glad you too made it out, the next warm clear day Ill drive over .